The Store Manager for Zen Cart enables online business owners to have tools that can effectively manage their online shop. 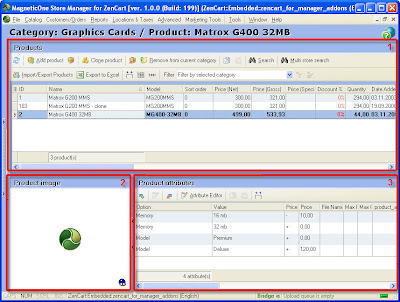 It is a Windows application that was developed by MagneticOne that has various tools that can help on the management of products, categorization, and indication of product attributes and processing of orders. This application is geared towards making things convenient for the business owner by streamlining inventory practices. The automation function it generally offers to the online business results to a more efficient operation and it also allows the business owner to save time and resources. 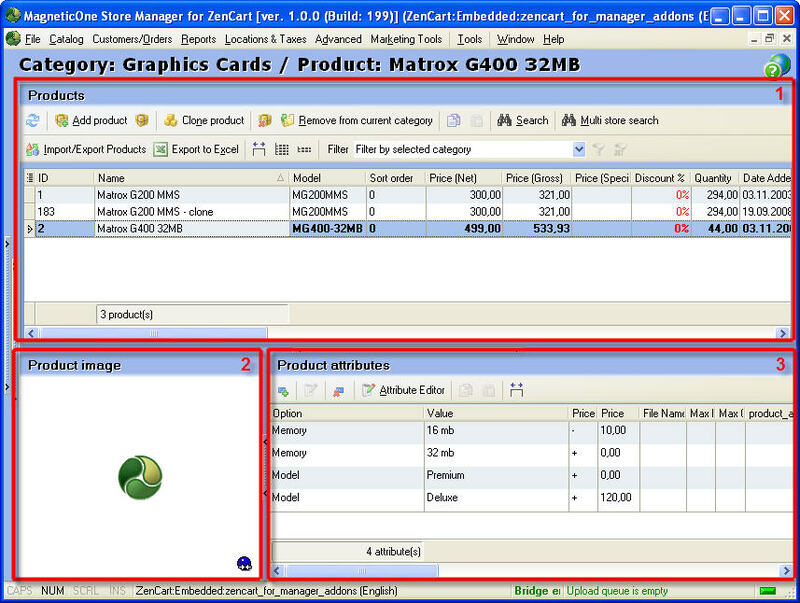 Product management using the Store Manager for Zen Cart makes inventory and administration of all your Zen Cart products easier. There are various tools that are available to run your business easier. To achieve better automation of the online business, optimize all the tools that are featured in the system. In a nutshell, the product management system allows you to indicate the names of the products for easier identification, and add details such as descriptions and images. This way previewing the product is more systematic and the information database is associated with the Zen Cart products. The Store Manager also features straightforward addition and deletion of Zen Cart products in and out of the Zen Carts. It is highly flexible as things can be moved around and the Zen Cart attributes can be adjusted as well. You can have an unlimited number of Zen Cart products. This is very advantageous for online businesses that have multiple Zen Carts that house various products. Other features on product management that you can take advantage of in the Store Manager for Zen Cart, aside from product editing and product attributes management, are import and export products wizard, featured products and special products section. With these additional features, you will be able to import or export the details of your products onto an Excel file. If you are able to do this, you pave the way for more ways to further manage, evaluate and create forecasts on your products. This is a wonderful tool for making sure that the online business moves forward. Having the featured products and special products features will enable you to highlight one of a kind items or products that your online business is offering for a specific season. Doing this will help increase sales and help you make special adjustments when necessary, such as pricing or additional details.